Nearly everything we eat, wear, read, sit on, or ride in was at some point carried by a conveyor belt. However, not every conveyor belt is necessarily a standard flat belt. Many products need to be conveyed or handled in precise ways that require custom solutions. One such solution falls into the category we call custom covers. Custom covered belts are made to order, and customized to fit the exact specifications the application requires. These belts consist of two main components: the base belt and the covering, although some applications also call for additional modifications. There are two general groups of base belts — standard conveyor belts and traditional power transmission belts. Standard conveyor belts can be laced, made endless, or supplied in bulk open-ended rolls. Traditional power transmission belts consist of timing belts, V-belts, and poly ribbed (Poly-V) belts. Timing belts and V-belts can be made of urethane or rubber, whereas poly ribbed belts (Poly-V) are only made of rubber. 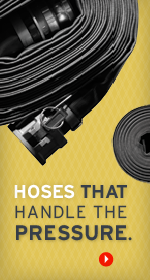 Apache offers custom coverings for flat belt, V-belts, and timing belts. Custom covers are highly effective in a variety of applications from vacuum systems, to orienting and pulling product down the line. They can be laminated (glued) to the base belt, or molded as a seamless belt. Apache can supply a wide variety of modifications, including hole-punching and perforation patterns. Whether you have a lightweight vacuum application, or a heavy-duty application such as filtration, dewatering, or elevator service — we have the experience and technology to supply the configuration you need! We specialize in small quantity, unique solutions, where no request is too small. The result? An end product with the right properties to carry or cradle product as the application requires. Contact Apache today to find the right custom covered solution to meet your needs.